In healthcare, the growing importance of patient engagement is gaining a lot of attention from journalists, healthcare providers, and other analysts in the industry. More and more experts are recognizing that when there’s more communication between the doctor and the patient, and the patient becomes actively engaged in their own healthcare, the results are better health outcomes and lower costs. According to an article in the healthcare policy journal Health Affairs, studies have shown repeatedly that engaged, “activated” patients are more likely to engage in preventive behavior like having regular check-ups, screenings, and immunizations. They’re also more likely to adhere to treatment and avoid health-damaging behavior. That in effect lowers costs. Patients who score higher on engagement had lower rates of costly care like hospitalizations and emergency department visits, as well as lower costs overall. The question for many providers is: how do we get patients engaged in their own care? First of all, the immense power of patient feedback shouldn’t be underestimated. At Aspire venture MedStatix, we believe a simple request for feedback can be the crucial first step to helping patients understand their critical role in a health plan, and it can give providers the knowledge they need to improve their relationship with the patient. While customer service has long been a tenet in most industries, it’s often been an overlooked, if not ignored, facet of the healthcare experience. With the Affordable Care Act and the rise of crowd-sourced information on the Internet, patients have more and more say in their healthcare choices, and that means more consumer power. To keep pace with the rapidly changing healthcare marketplace, providers need to pay more attention to the patient experience, not only for their own financial survival, but also for the welfare of their patients and the health of the industry as a whole. And when building trust and empathy between the doctor and patient, there may be no tool more effective than a genuine request for feedback. 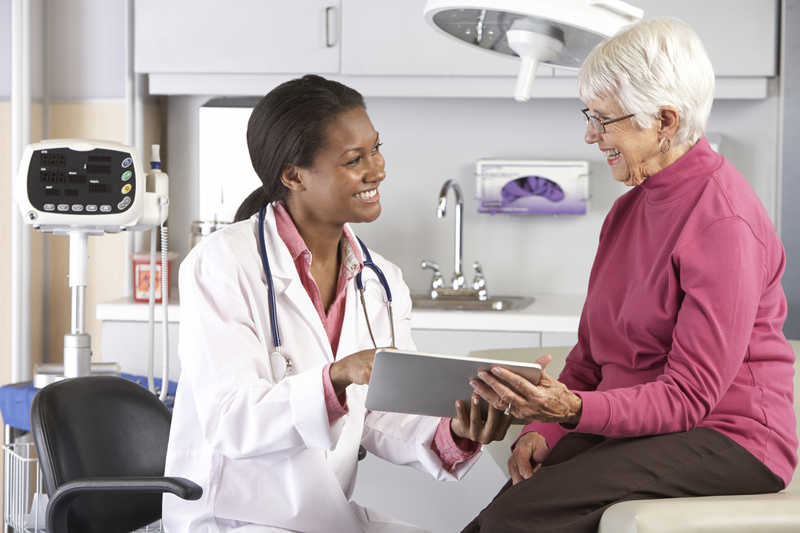 To manage the patient experience, providers need tools that can quickly gain reliable feedback from patients. As the truism goes, you can’t manage what you can’t measure. With the MedStatix platform, doctors get actionable feedback in real-time, with an average response rate of more than 40 percent, that drives insights to power real change in provider communication, practice operations, and the overall customer service in healthcare. Not only does the platform allow doctors and patients to see overall patient satisfaction scores, it also delivers useful metrics directly related to how successfully a practice engages their patients. A communication index measures how well doctors are communicating with patients. Patients can also rate how well doctors involved the patient in healthcare decisions, how well doctors listened to the patient, and how well doctors explained illnesses, options, and procedures. By measuring patients’ perceptions in these areas, providers are sure to find ways to improve their scores with operational changes or simple policy tweaks. For example, one practice who uses the MedStatix platform wanted to improve their communication scores, as well as scores on whether patients felt they had enough time with a doctor. To do so, they simply added the policy for their physicians to always ask the patient whether all of their questions were answered at the end of the visit. In a classic halo-effect scenario, doing so not only addressed the doctor communication index, it also improved patients’ perception that they had enough time with the doctor. Improving the patient experience can have big benefits for providers—boosting patient loyalty and recommendabilty. In an age of ultra-savvy consumers, where an honest online review can have far more power than any marketing campaign, positive feedback is a valuable resource. But perhaps most importantly, a positive patient experience is also correlated with better patient engagement, and hence, better health outcomes. According to the same Health Affairs article, several studies have shown that patients with high engagement scores report more positive care experiences, better exchanges with physicians, and more out-of-office contact with physicians. Although we can’t be sure which direction causality is going in that relationship, the correlation between the two should certainly get providers thinking about the potential benefits of improving patient/doctor relationships. And that should get us all thinking about just how powerful patient feedback can be.